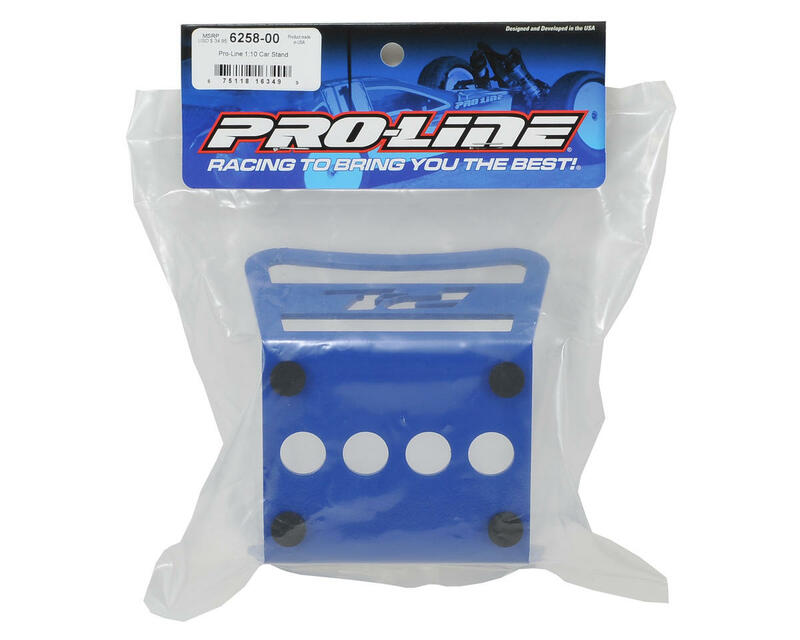 This is the Pro-Line 1/10 Car Stand. 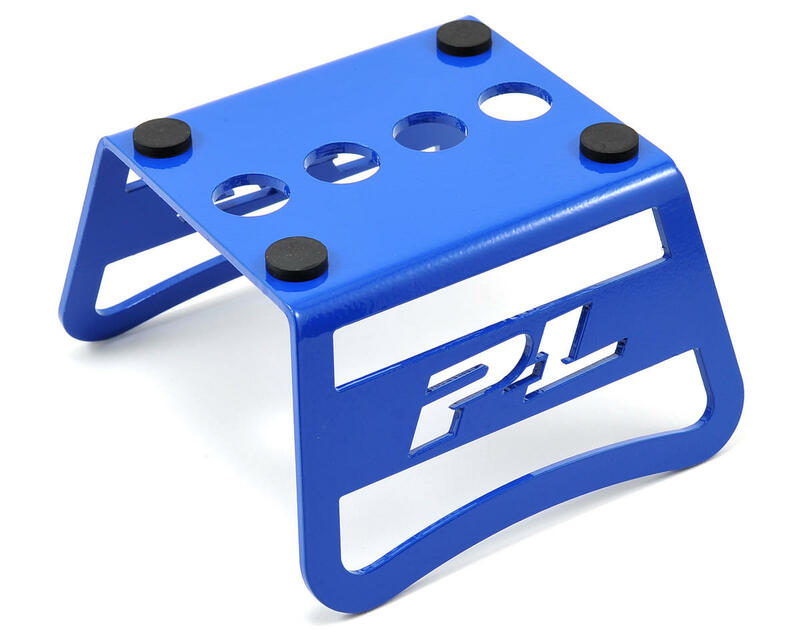 Taking its inspiration from popular MX bike stands, this laser cut, and powder-coated blue aluminum Pro-Line car stand is ready to display your car in the best way possible. The stand even has shock building holes in the top for added versatility. Push-in rubber grommets protect your chassis and will prevent your car from sliding around. The cool factor on this stand is off the charts. Real world usability though, mediocre at best. The tried and true Ofna stand that we all know and love is not only a fraction of the cost, but it also spins, is available in several colors, and collapses down for easy transport. This stand is wicked cool as a display or storage stand, but for actually wrenching or going to and from the track there are a ton of better options out there. This stand slides like a hockey puck on ice when it is on a hard surface and can be cumbersome and awkward to pack and transport. Overdose Racing is my go to transport stand for the track, and the plastic Ofna that spins is perfect for your workbench or the track. It generally works as advertised however it has no rubber feet, so it slides around far too easily, and the holes that I assume are designed to hold shock absorbers during assembly are much too large to hold any of the 1/10th scale shocks I've tried to fit. I thought it was supposed to be a 1/10th scale car stand??? When you consider it's the most expensive stand Amain sells, there are better choices.